XENON Corporation - The Independent Global Source for the Flexible and Printed Electronics Industry. XENON has over 50 years of Pulsed Light experience and applies its industry-leading expertise to the design and manufacture of high quality Pulsed Light systems for use in a wide range of production processes. XENON is an active partner in the research and development of new and emerging applications of Pulsed Light. Founded in 1964, the company focuses exclusively on Pulsed Light and its applications, from the research laboratory to the production line. Our technology plays a key role in applications as diverse as printed electronics, sanitization, food enhancement, optical disc, semiconductor, display, and solar simulation. 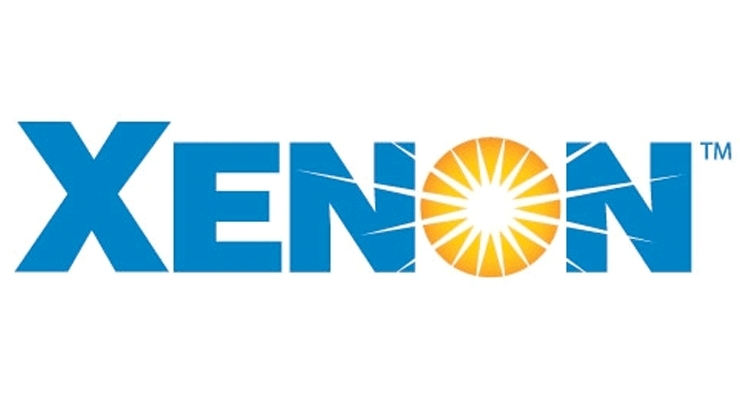 XENON is particularly focused on helping emerging products grow from the research laboratory to the marketplace. The company has played a key role in jump starting the printed electronics industry, by creating a global network of PE Test Centers that allow researchers and product developers to access the latest Pulsed Light technologies, inks, and materials, as well as consulting from experts, thus accelerating commercialization of this important emerging industry. At XENON, quality is considered a standard. Our components and systems are designed precisely to specification and are fully tested before being shipped. Answers to specific questions are always available and the company is always ready to listen to challenges, entertain the hard questions, and then go to work on unique solutions. XENON is a privately owned company headquartered in Wilmington, Massachusetts, U.S.A.
XENON Corporation's Quality Management System has been certified by National Quality Assurance, U.S.A., against the provisions of ISO 9001: 2008, which is applicable to the design, manufacturing and sale of high-performance, mercury-free, pulsed lamps and related electro-optics for industrial and commercial processing. In addition to Printed Electronics, XENON serves the optical disc market with its UV curing systems, the medical market with its sanitization systems, and a host of other R&D markets worldwide. XENON's core technology is Pulsed Light. This has been our sole focus since the company's founding and explains our corporate positioning as The Pulsed Light Experts. From this core technology, we have developed our line of low-heat, high-energy processing solutions for a variety of industries. XENON maintains worldwide Printed Electronics test facilities where researchers and product developers can access world-class laboratories, equipment and expertise to test product ideas and technologies. XENON's products include the S-Series for PE sintering, the C-Series for UV curing, and the Z-Series for sanitization. XENON's global capabilities include our worldwide Printed Electronics Test Network, and distributors covering the U.K., Spain, France, Germany, Israel, India, China, Japan, Taiwan and Singapore.